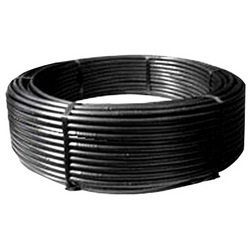 With wide expertise in this domain, we have come up with wide range of Polyethylene Pipes. 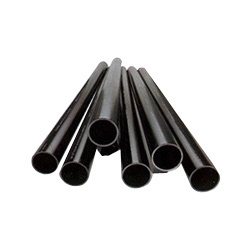 Under this category, we offer HDPE Polyethylene Pipes And Tubes, LDPE & LLDPE Pipes and Tubes. All these are manufactured under the strict guidance of our experts, who follow all the industry set standards and quality norms. Some of the acclaimed features of the offered range of products are rust proof nature, longer service life and low maintenance performance. We have in store for the clients a commendable gamut of LDPE (Low Density Polyethylene) Pipes. Finding the applications in various industrial applications for low pressure applications, our offered range is manufactured using qualitative raw material in compliance with the international standards at our end. Clients can avail these pipes from us in different lengths and widths as per their requirements. With the help of our dexterous professionals, we have come up with HDPE (High Density Polyethylene) Pipes. Our offered range is made using high density polyethylene plastic, in accordance with the industry set quality parameters. For its flexibility, durability, superior physical and chemical properties, high bursting pressure, our offered products are used in various industrial applications. Moreover, we are offering this range in various pieces, special lengths and colors on custom basis to fulfill the exact requirements of our clients. Owing its following attributes, our offered range is used in automobile, pneumatic, brewing, irrigation, agriculture, food industries and in many other sectors. We are prominent firm engaged in manufacturing and supplying LLDPE (Linear Low Density Polyethylene) Pipes . 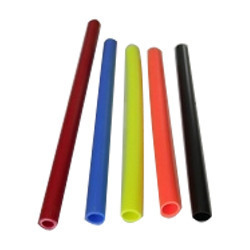 Available in different sizes, special lengths, colors and cut pieces, these LLDPE pipes and tubes are widely used for for transporting air, water and chemicals. Following the international standards, these products are manufactured using linear low density polyethylene plastic and ultramodern equipment by our experts. Looking for Polyethylene Pipes ?